Resort rows and restore space in either a specified table or all tables. 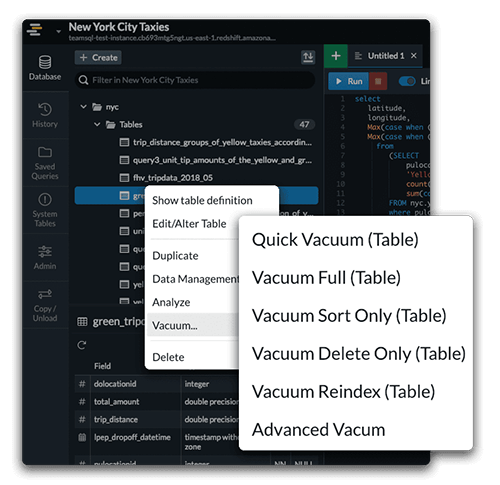 Run VACUUM instantly and resort rows and reclaim space in either a specified table or all tables in the current database. 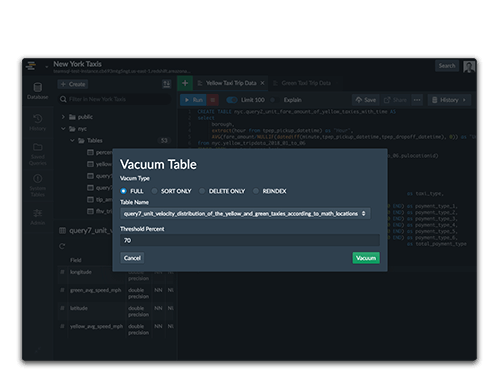 In addition to Quick Vacuum, you can execute Vacuum Full, Sort Only, Delete Only, Reindex and Advanced Vacuum options. Run Vacuum Full, Sort Only, Delete Only, Reindex and Advanced Vacuum with threshold adjustment.